So yesterday I celebrated my 47th birthday. I had a great time eating a nice dinner with my Wife and children. Perfect night! My 14 year old son, Ryan, has discovered a graphics program called Blender - he is teaching himself how to use it and has really done some cool stuff. 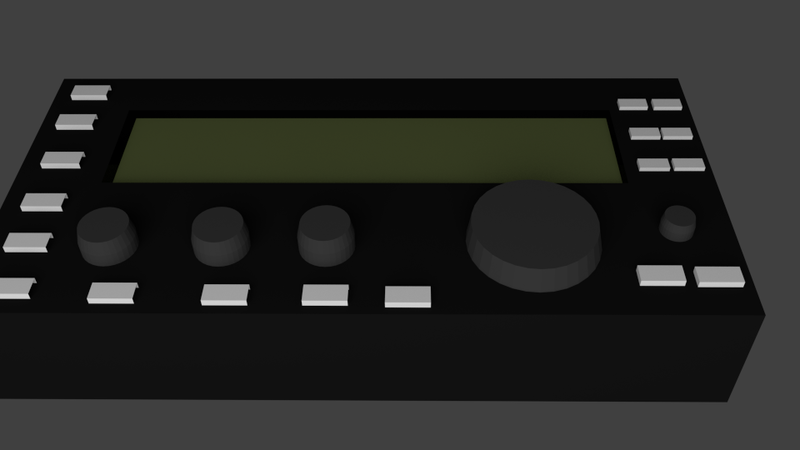 Well, for my birthday present he made a graphic of my Elecraft KX3! He apparently had been making clandestine trips to my newly implement shack to see what the rig looked like and then model it up in Blender. Here is how it turned out....very cool....I just had to share it with you guys. What a great birthday present from him - I am gong to make it into my wallpaper on my shack computer. Thanks Ryan - you did a great job!